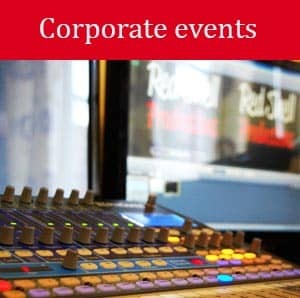 Red Shell Productions is a live event streaming company based in the West Midlands. We offer bespoke end to end streaming solutions and event filming for companies and individuals around the country. We broadcast events live to the internet via Facebook, YouTube or your website. Using our live streaming technology can expand your online presence and consequently increase your audience. What is live event streaming? We broadcast your event LIVE on the internet in real time. You will have inevitably watched a program live on the BBC, ITV etc., who offer live pause, rewind and immediate playback. Essentially we offer the same service. Our live streaming experience means we offer tailored services to your event specifications. Live streaming services for corporate and private events are becoming a more common concept. Utilising this leading edge technology will you show your event/company to be forward thinking. In a time when corporate marketing is changing, make sure you stand out from your competitors. When you broadcast your event live, you provide an opportunity to substantially increase your audience. Audiences can watch online and, if you have the facilities, on large screens at a nearby location. If your audience are working, living far away or even abroad, they won’t miss the special event. What if we are already filming our event? Provided your cameras have an HD-SDI, SDI or HDMI output, our technology will allow you to be able to connect them to our system to stream live. Our technician edits the camera angles live and directs the video either straight to your website, Facebook or YouTube. Yes! Virtual attendees can be free or, pay a one off fee, subscription fee or voluntary fee to watch your live stream. We offer a digital copy of your event so you can either sell DVD’s as it was seen on the live stream or, edit footage separately. Our technology allows up to 6 camera angles to stream during the event, meaning your online audience won’t miss out on the action or atmosphere. 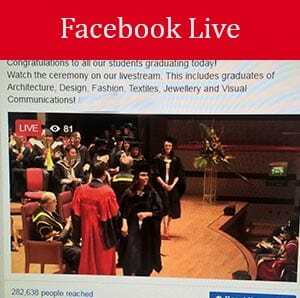 Furthermore, our experience shows that companies who live stream their event enjoy a significant increase in traffic to their website and/or social media during and after the event. How can we maximise our audience? In the lead up to an event we recommend marketing as much as possible. Successful marketing will guarantee you the best viewing results. The most popular option for advertising is updates through your social media (Facebook, Twitter, text). In addition to this you can email and advertise in your newsletter/collateral, particularly to delegates who will be attending your event. How do we know viewers are logging in and using the service? Depending on the platform you choose to stream to, we can provide a report which analyses how many unique viewers logged on and in some cases, which countries they were watching from. We can also let you know how long they watched your event for. An in depth data analysis will provide you with the information you need to maximise future advertising campaigns. What is required and what will happen on the day? Red Shell Productions require a wired internet connection with a minimum of 4mb upload speed. The higher the upload speed, the better the stream. The upload stream determines if we can broadcast your event live in low, medium and/or HD quality. If there is no internet connection to the venue, we have a satellite system which we can provide for an additional fee. Once we have a full brief of your requirements, we will discuss the best streaming platform i.e. your website, Facebook or YouTube. On the day, we arrive and set up our equipment and finally perform a few tests and ensure we are ready in good time for the event to unfold. How do our audience watch the video stream? Viewers watch your event through Facebook live. 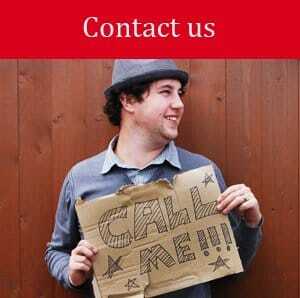 We supply you html code to implement on your website. Individuals visit your website and click to the relevant page to watch the event live. We can live stream to your YouTube account. Following the event, there is the option to upload the live video stream to your website or YouTube to playback later. Red Shell Productions also have a ‘live’ section where we stream the event to.